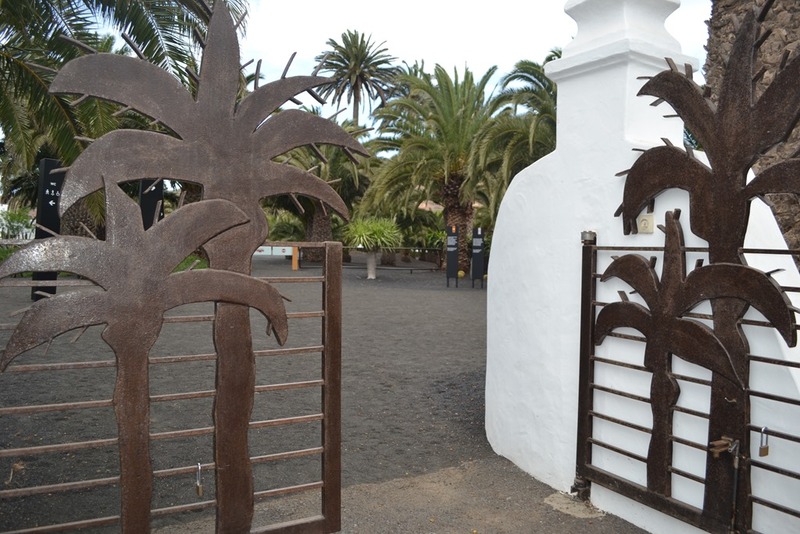 For anyone with an interest in César Manrique, a visit to his house in Haría is a must. The Casa Museo César Manrique was only opened to the public during August 2013. Run by the Fundación César Manrique, the house has changed very little since the artist’s death, you can feel his presence in every room, it really is as if he just walked out the door on his way to work and didn’t return. Which is of course is what happened on that fateful day back on the 25th September 1992. The house has two bedrooms situated on opposite sides of the living area and each with huge glazed bathroom suites. It’s fascinating to see the artist’s clothes hanging up, his slippers by the bed, the books he was reading just lying there waiting to be continued. The lounge has a low beamed ceiling with a piano and stone fireplace as centre pieces of the room, the shelves are stacked full of books and terracotta pottery. The kitchen is set off the lounge and was the only room that surprised me as to how ordinary it was. The kitchen units looked just like the standard orange stained pine cupboards found frequently in Lanzarote, there is a beautiful old wine press beam feature worth mentioning. Manrique had started to remodel the north side of the house, his intention was to incorporate a swimming pool feature into the living space, a project that was never finished. There are some quirky and interesting spaces to sit and relax outside, the Perspex bubble seat being my favourite. Manrique’s workshop is situated across the far side of the garden which is mainly planted with palms, injected with bright splashes of bougainvillea. Anyone who visited the El Taller de Los Sueños (A Workshop of Dreams) exhibition at the Fundación César Manrique will understand just how realistic this was, when they walk into the real thing. There are unfinished paintings, pigments and drawings that have been conserved, just as the artist left them 25 years ago. César Manrique’s house in Haría was declared a place of cultural interest in 2003, it is now known as the Casa Museo César Manrique en Haría (CMCMH). The property is open everyday (except 1st January) from 10:30 to 18:00, the last entrance is permitted at 17:30. The entry fee is €10 adults and €1 children, there is a discounted combination ticket available of €15 for visitors wishing to combine a visit to the Fundación in Tahiche. We would suggest that you walk to the artists house from the village, Calle César Manrique is situated next to the library and Ayuntmiento of Haría, simply follow this road for a few minutes through the back streets until you see the distinctive metal palm gates on the right side of the street. It is possible to drive with parking in the street for a few vehicles, you will need to follow the signs as directed through the one way streets. 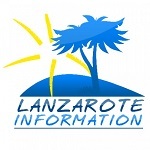 You can book your excursions on the island here: Lanzarote Excursions. Jardin del Atlantico (Atlantic Gardens) is a one bed apartment with air conditioning, located in central Puerto del Carmen.